Wineries: Bodegas Ysios: Calatrava’s Riojan castle is crumbling. 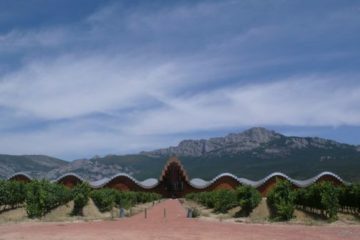 Bodegas Ysios was one of the first wineries to be completed in the Rioja region by the parade of starchitects - designed by Santiago Calatrava in 2000 and opened to the public (by appointment only) in 2003. 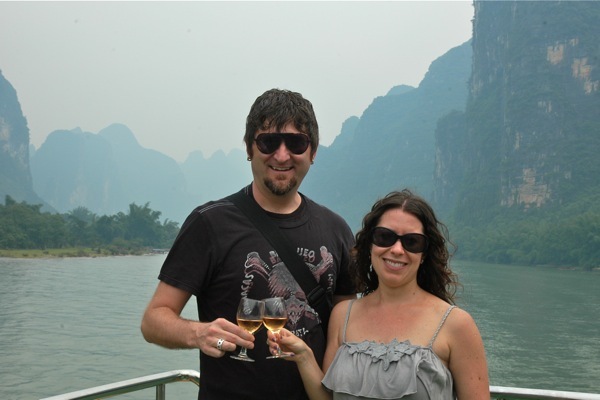 Liz and I visited the winery grounds during our first trip to Spain in 2003 when the estate vines were just tiny clusters of leaves on the ground. We actually stumbled upon this stunning structure as we peered across the valley from the hill town of Laguardia and since we were rushing from one town to the next (as always) we didn't have time to inquire about a tour. We did drive up to the building - drawn in by the contrast of the glittering aluminum roof and the bleached cedar walls with the granite and green mountain range behind.